June is Men’s Health Month. This awareness month highlights the importance of preventative healthcare and appropriate screenings and checkups specific to men to maintain overall health and long-term well-being. 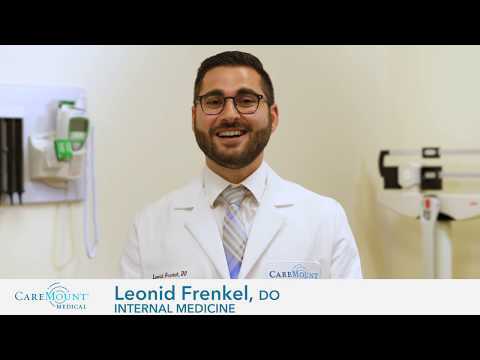 CareMount Medical offers two state-of-the-art procedures for male patients dealing specifically with prostate issues, the UroLift® System and the UroNav Fusion Biopsy System. CareMount Medical is leading the way to offer these minimally invasive techniques close to home for patients in the Hudson Valley. The UroLift® System is designed to relieve symptoms caused by an enlarged prostate, while preserving sexual function. It is the first permanent implant to treat symptoms due to urinary outflow obstruction secondary to benign prostatic hyperplasia (BPH) in men 50 years of age or older. Cleared by the U.S. Food and Drug Administration in 2013, the permanent implants, delivered during a minimally-invasive procedure, act like window curtain tie-backs to hold the lobes of an enlarged prostate open. BPH occurs commonly as men age, causing unpleasant symptoms such as a slow urinary stream, urinary frequency and urgency, and frequent trips to the bathroom at night. The UroLift® System is an excellent alternative to medication which may have negative side effects, such as sexual dysfunction or dizziness, and to traditional surgery which usually requires hospitalization and more prolonged recovery. With this technique, patients will see a rapid increase in symptom relief and overall improved quality of life after the procedure. The second technique CareMount Medical offers is the UroNav Fusion Biopsy System, specifically used for the detection of prostate cancer. Prostate cancer is the second most common cancer among American men. According to the American Cancer Society, approximately 1 in 9 men will be diagnosed with prostate cancer during his lifetime with the highest risk for men 65 years of age and older and African-American men. UroNav fuses pre-biopsy MRI images of the prostate with ultrasound-guided biopsy images in real time, for excellent views of the prostate and suspicious lesions. It is designed to help visualize, assess, target and track suspicious areas in the prostate. UroNav brings the power of MRI to the Urology suite as prostate and lesion data from Radiology are quickly and easily transferred for review and target identification. This critical exchange of diagnostic information fosters enhanced collaboration between Radiology and Urology in the assessment and biopsy of suspicious prostate lesions. It is important for men to take proactive steps to manage their health, especially as we get older. By getting annual health screenings and checkups and by maintaining a healthy lifestyle, we improve our chances of living longer and healthier lives.